If you’re keen to get into Astronomy, you’re participating in one of the oldest human traditions. Depictions of the cosmos range back far into human history, and almost certainly into pre-history. 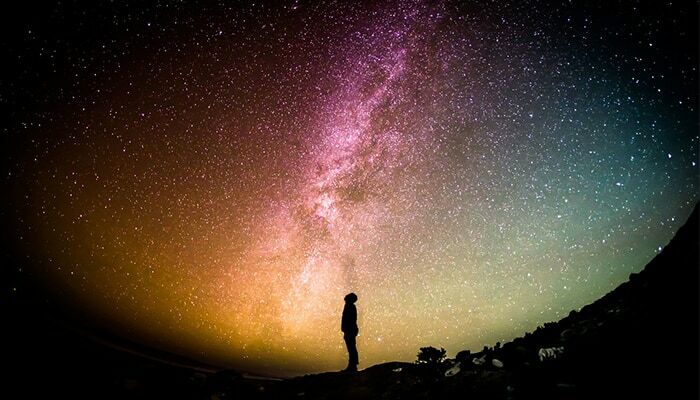 People from the Greeks to the Chinese to the Mayans looked up at the night sky and derived forms of meaning from it. This yearning towards the stars has taken many different paths, from the mystical to the scientific, from creation stories to moon landings. Look! Make sure you check out my guide to the best telescope for planets, galaxies and deep space. I’ve tested and reviewed the best models of this year for all levels and budgets! Peoples have organized their calendars, their foundational stories, their rituals on the images they observed in the sky. Ever seen the Bayeux Tapestry? There’s a reddish brown comet (in reality it probably would have appeared white), one of the earliest historical references to what became known as Halley’s Comet. The Normans saw the comet as a divine sanction of their invasion across the Channel in 1066, and a bad sign for the English king. Far, far away at around the same time (and even before), the Mayans were organizing their cyclical calendar, all based on what they observed in the sky. Studying astronomy is a way of studying history. Not only that, but when you look up, you are quite literally travelling back in time. Light is fast, but not instantaneous. Light travels at about 671 million miles per hour, or 1,080 million kilometres per hour. In fact some of the stars you can see through sophisticated telescopes are millions of light years away from us, so when you see them, you are seeing them as they were millions of years in the past. And some of the stars in our night sky that you see through your telescope are now dead, but the light they emitted millennia ago still travels through space. An interest in astronomy is very natural, but it can also seem somewhat inaccessible. What if I don’t know too much about science? What if I can’t afford a telescope? What if I live in a city with a ton of light pollution? None of these things should stop you from enjoying our stars and learning about the universe around us. This is a hobby that can not only teach you about the universe around us but also about us. Astronomy is a symbol of human curiosity and our desire to understand. As a part of examining the stars, we examine ourselves and try to discover a little bit more about what it is to be human. What drives us? What motivates our actions? We use the stars to ground stories we tell. We use stars as symbols of our goals. Astronomy is a way to immerse yourself in that ancient tradition of both internal and external investigation. This guide will explain how to get started with astronomy. The first time I got to see the sky, the stars, the Milky Way itself, without any light pollution, was while I was in Wyoming. It was a frigid June night. By frigid, I don’t mean fifty degrees Fahrenheit. I mean more like ten below. It was cold. I was shivering even inside my sleeping bag and all my clothes. I felt restless and hungry. So I put on my frozen boots – yes, they were actually frozen – and stepped outside. The cold assaulted me, a wind ripped through my many layers of clothing and slashed at me directly. Just before getting up I had taken a swig of water, and now the droplets froze to my face in seconds. So I rifled through my food stash as fast as I could and grabbed a granola bar. Then I looked up. A purple band across the sky. Countless stars scattered about, sparkling and dancing above me. The perfection of the natural night sky stood over me, and I froze there, not from the cold, but from awe. To this day, it is one of the most amazing things I’ve ever seen. It’s enchanting, hard to believe such scenes of beauty still exist, but there it was. For just a moment in the Jim Bridger National Forest, deep in the wilderness near the Cirque of the Towers, the night sky came alive for me. If you want to see this too, you absolutely can. It will alter your perspective, your view of the natural world. It may even alter your view of civilization, of the things we given up in the name of comfort. So how can you get out to see the night sky in its full glory? 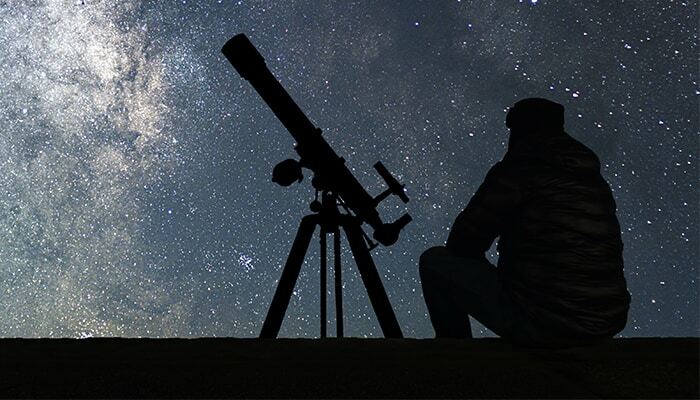 Here are a few tips for starting your stargazing hobby. If that sounds simple, it is. And it’s the most important part of all of this. Simply having a curious nature may well be the most vital aspect of this whole thing. A yearning for beauty, for mystery that drives you to seek new things. You do not need to go out buying a ton of fancy, expensive gadgets. Your eyes are plenty enough to start out. Find somewhere high up, where the air is thinner and interferes with starlight less. Also, try looking at the moon, which remains visible regardless of ambient light pollution. Even if you are in a place with lots of light, the moon and its cycles are a perfect place to start out and learn about the patterns of the sky. Most people now live in or around cities, where the lights burn all night. If you already like camping or hiking, try integrating stargazing into that. If not, then try to get into camping! The two go together very well. The further you get from cities and towns, the brighter the stars will be for you. When I saw the Milky Way for the first time, I was in remote western Wyoming, and the nearest city was Bozeman, Montana, well over a hundred miles away. Leaving the lights behind will open up the sky to your eyes. You don’t actually have to be all that far from the nearest light to see the night sky. Just finding a place twenty or thirty miles from the nearest city will do. A quick internet search should turn up local, state, and national parks near you. Those are going to be your best bet for finding a nice, dark spot from which to see the stars. Learn the moon’s phases and how they relate to tides. Learn about eclipses. 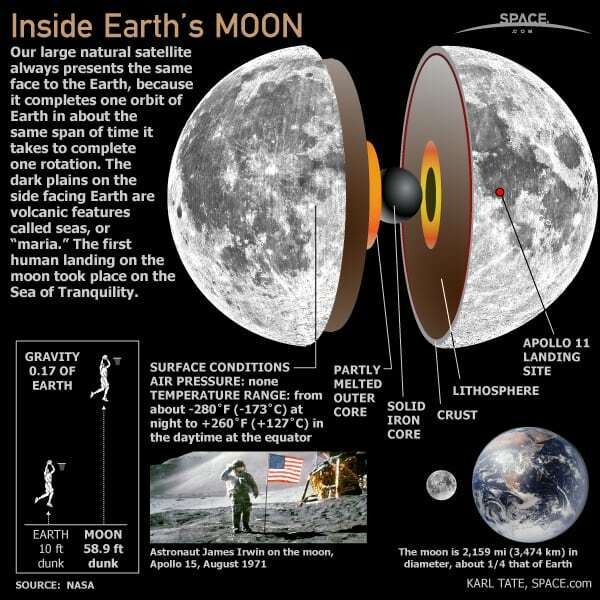 Even learn about the moon’s inside. The moon is a fantastic point to start with because you can see it regardless of light pollution. Not only that, but there is so much detail and nuance to learn about the Earth’s lone natural satellite. So while you observe it, learn about how it formed, why it’s cratered, why we only ever see one side of it. Also, the moon is great for getting into astronomy because you need absolutely no equipment to see it. All you need is access to the night sky, which is pretty well universal. So start out your astronomical experiences by looking up at the moon! Obviously, don’t look right at the sun because it will injure your eyes, but learn it’s patterns. Learn the solstices and equinoxes. Also, learn how and why the sun rises and sets in different places on the horizon during different times of the year. Learn why the sun does not set during the north Alaskan summer, and why does it not rise for the north Alaskan winter. Like the moon, the sun is a great starting point for astronomy because you don’t need to spend any money at all to get into it. But again, don’t forget to protect your eyes with glasses that can be fitted with proper filters for solar viewing! Once you’ve learned about our local star, now you should move onto the more distant ones. Just something simple is fine, something that marks the constellations. There are usually up to 50 you can see from a given location with the naked eye on a clear night. With a pair of binoculars you can then add in a few hundred star clusters. There are tons of free maps which you can find with just a quick Google search too. There are also plenty of astronomy based apps for you to use. Just a few of these are Stellarium, StarWalk, Google Sky Map, and Exoplanet. Exoplanet is a bit more technical and science-y, but they all will work great for helping you begin your adventures. My personal recommendation is that you start with whatever you can find for free and experiment to see which app works best for you. For example you can use the app to help you plot the route of the International Space Station (ISS) and tell you when it is visible from your location. That should be more than enough to teach you the basics of this hobby. Only once you have a solid idea of what you do and don’t want or like in a star map, should you really spend money on one? Maybe best is to try to find a friend with the same hobby and ask if you can use their map. It would be great to get star map experience from someone who already knows the ins and outs of them. So you’ve got some of the constellations down. Here’s where one of the really cool parts begins. A lot of the constellations that have been named for millennia have ancient stories associated with them. There’s Orion the Hunter, who in Ancient Greek mythology tried to kill a divine scorpion, but failed and fled into the sea. There he thought himself safe from the scorpion, which the gods had sent to kill him. But then Artemis, fooled by her brother Apollo, shot an arrow through Orion, her friend. Though he could not be restored to life, she hung his image in the sky as an eternal taunt to her family, the gods, of the man they had murdered. There’s also Andromeda, supposedly an Ethiopian princess so beautiful that she saw fit to insult divine nymphs. In a rage, Zeus sent a monster to ravage the Ethiopian coast. To appease the gods, the kings ordered Andromeda to be chained to a rock at the shore so that the monster would kill her and leave his nation in peace. However, the famous Greek hero Perseus killed the beast, saving the princess. And now her constellation remains in the stars forever. These stories go on forever, and many different cultures have them. So use your new found interest in the night sky to learn historical stories about people who told tales of the stars. Constellations, and even individual stars have these stories, varied across cultures and times. These stories involve the stars, but are not truly about the stars. Rather, these stories use the stars as a means to talk about people, about human nature. The tragedy of Orion tells about the greed and jealousy of Apollo, and of the undying affection of Artemis. The tales of Andromeda can be read many different ways, from warnings on disobedience to honoring the value of love. But others tell tales like this as well. The stories associated with the stars may in fact be their greatest quality. Without stories like these, the stars would simply be dots of light that we can see when our local star falls below the horizon. These stories give us a cultural context to study and learn and even add to as we create our own tales. For longer than people have recorded their histories in writing, they have looked into the night sky and attached stories to the dots of light they saw. These stories illuminated what they saw, thought and felt about in their lives, about what it meant to be human. If possible, twenty miles or so from the nearest town or city is a solid general rule. A wonderful night sky seen through a rain forest canopy is less than impressive, so try to find a place with a broad, open horizon. High elevation not only distances you from light sources, but also thins the interference of the atmosphere overhead. If you can’t get far from artificial light sources, that makes me sad, but if you simply get to the top of a tall building, the stars should appear more clear and vivid to your eyes. At the very least, you should be able to spot some major constellations. I live near a major city myself, and despite the light pollution, I can regularly see the Big and Little Dipper most nights in the fall and winter. But what about more special locations? Places where people go to see the stars as a special retreat? The International Dark-Sky Association is an excellent resource for finding optimal stargazing conditions with minimal light pollution. 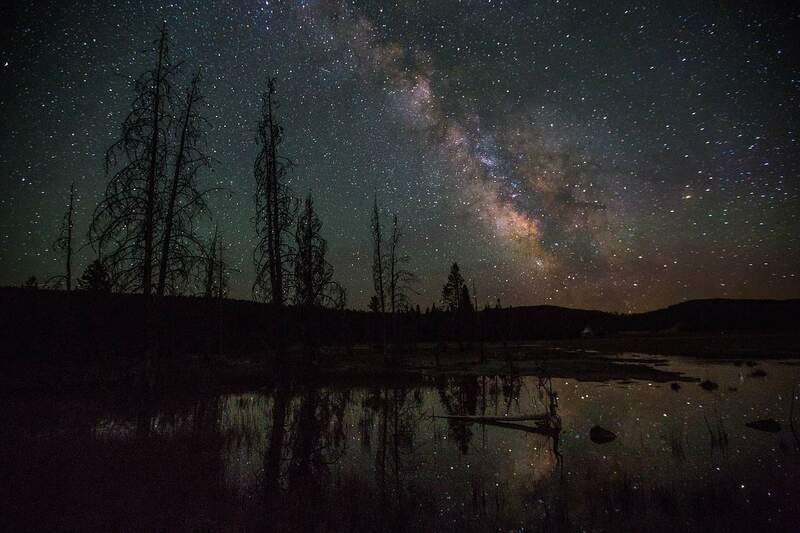 In 2017, the United States recently gained its very first designated Dark Sky Reserve in the Sawtooth Mountains of Central Idaho. If you live nearby, great, and if you don’t, time to start planning a road trip. Where else are these special dark sky reserves? Many of us don’t happen to live near a certified IDA Dark Sky Reserve, but don’t worry; there are places for you too. For one thing, there are dozens of designated Dark Sky Parks, so odds are better that there will be one near you. Some of the locations mentioned below fall into this category. You can easily search the IDA website to identify potential stargazing locations, from parks and reserves to communities (cities and towns) that make an effort to avoid light pollution. Try Cherry Springs State Park in Pennsylvania. It’s reasonably close to Philadelphia, and is within driving distance for most people in the Northeastern and Mid-Atlantic states. But despite its relative proximity to urban areas, it is one of the darkest places in the United States east of the Mississippi. 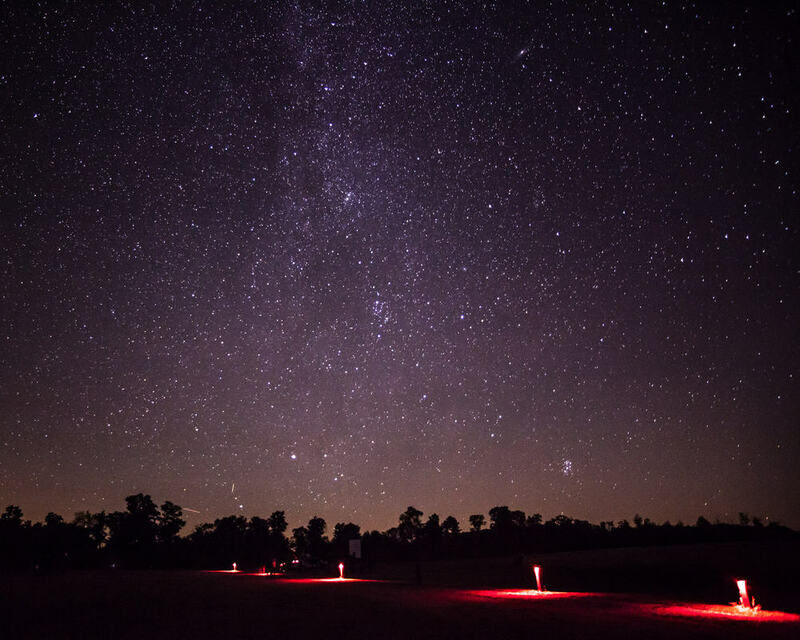 Cherry Springs has plenty of dedicated night sky viewing areas, and during the summer, the park hosts more formal events as well. From the peak of the park’s viewing point, you can get yourself a full panoramic view of the night sky without light pollution. If you own a time lapse camera, this is the place for you. As a rule, if you live in the eastern United States, any place in the Appalachians will be your best bet. Those mountains get you far from cities and offer fairly tall peaks. Further north, the Adirondacks and White Mountains offer both stunning scenery by day and amazing views of the stars by night. Unfortunately, most of the eastern seaboard is filled with city lights that burn all day and all night long. So getting away from those should be your top priority here. Death Valley is your answer. It’s massive, remote, and there is so little humidity that there is almost no distortion. Because no one lives in the valley, there is almost zero light pollution, and the air itself here is clean. Add to that the fact that Death Valley is a vast, open expanse of sand, and you’ll have a place with perhaps the lowest horizon that you’ll ever see. You may want to avoid the place in the summer though. It is Death Valley after all, and summer temperatures can skyrocket to well over one hundred degrees Fahrenheit. So do your best to plan your trip there for the spring or fall months. However, never forget that deserts have fickle weather. Their days get hot, and their nights get cold. Should you visit Death Valley in a time of year calculated to have cooler days, you may have rather cold nights. So pack accordingly. 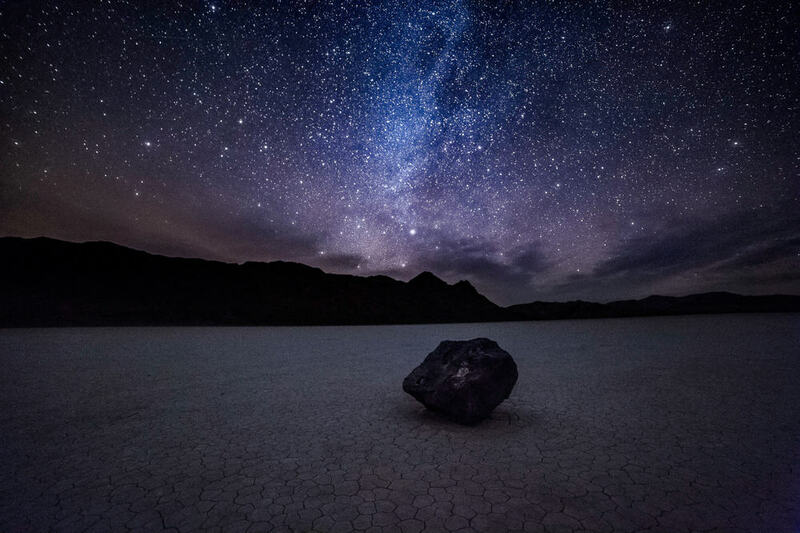 Death Valley is not a forgiving place, but the stargazing opportunities are wonderful. Also, almost anywhere in the Rockies will offer great views of the stars. You’re far away from cities and at a very high elevation. If you’re into hiking, stargazing is not difficult to get into as well. Where else? Denali. One word, one place. Go there once, and be addicted for life. Located in Alaska between Fairbanks and Anchorage, Denali National Park and Preserve is the size of the entire state of Connecticut. And for Alaska, it’s tiny. If you go in the summer, as most people do, you won’t be seeing any stars other than the sun. That’s because the summer days there last almost all day, with the sun ‘setting’ almost due north at midnight, and rising again a couple hours later. It’s never dark in the summer. But if you go in the winter, it’s magical. The snow, the mountains, the forests, the vast emptiness all around you. It’s an all engulfing wilderness experience, and with the stars out, it’s one of a kind. Also, it’s in the far north, so you’ll get a chance to feast your eyes on the Aurora Borealis – The Northern Lights. A dancing stream of green, pink, purple and yellow lights flowing across the sky. I cannot recommend Denali highly enough; it needs to be on your list. Your best timeframe to visit will be spring or fall, as then you won’t have the brutal winter to deal with. Though winters in Alaska are gorgeous, the cold does bother some people. In the fall especially, the weather is manageable, and you will have great views of the sky. Even Anchorage, with a population of over a third of a million, has decent views of the stars since there is no adjacent source of light pollution. You can even go up in a little bush plane and see the Northern Lights more closely, though this can be quite expensive. 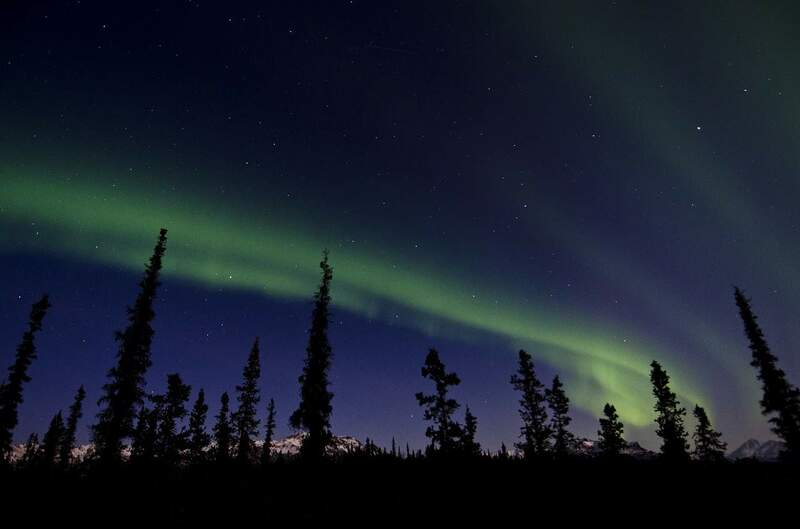 Over all, anywhere in Alaska is made for stargazing, with the exception of the southeast of the state, which is a rainforest. People living in Juneau or Sitka rarely see the sun, let alone more distant stars. But if you make your way to the center of the state, the clear air will allow you some of the best stargazing the world has to offer. This list could go on forever with the list of places with good stargazing opportunities. As a general rule, any one of the more wilderness-focused national parks will do fine for you. 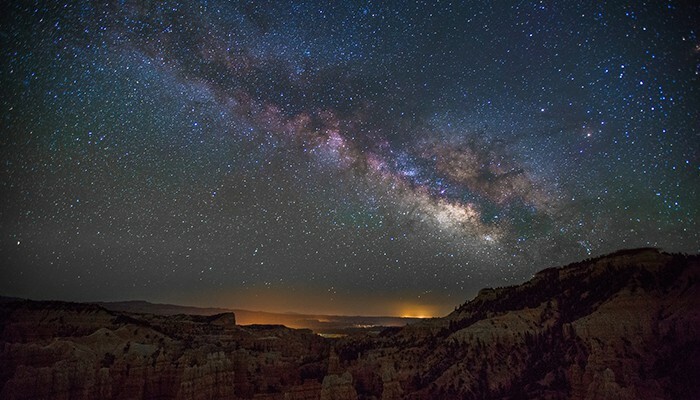 These places get you far away from light pollution sources, and some even have nearby towns which regulate light pollution to keep the sky pure at night. Bryce Canyon, Big Bend, Glacier National, or most any of the large Canadian provincial parks are great examples. If in Canada, try getting out on the water in a canoe. I don’t recommend going too far from shore in the darkness; best yet, tie a land line and have a light on the shore. It’s worth the effort because the stars as seen from a lake are magical. Check out Dark Sky Discovery to find all the best locations there. Wherever you choose to go for your stargazing adventures, try to find a place with little ambient light, good elevation, and a low horizon. Most importantly, find a place with a good overall atmosphere. Any hobby is best when done with others, so find other people, family and friends who like this too. Go as a group, enjoy a long weekend camping trip out in the field, and when the sun sets, enjoy the wonders of the stars. Before we take the deep dive into equipment you may find useful for stargazing, just a note…. You do not need to buy anything for this to be enjoyable. All you need is the classic “Eyeball”, a patent-pending device that absorbs light and transmits the information directly to your brain. Jokes aside, your eyes matter more than any fancy gadgets here. We’ve already reviewed some helpful maps for stargazers, as well as apps like Starwalk, Google Sky Map, and Exoplanet to educate you about your observations. But from there, where to begin? You can find and print more basic paper star maps from the internet. These are often totally free and will include at least the major constellations and moon phases. 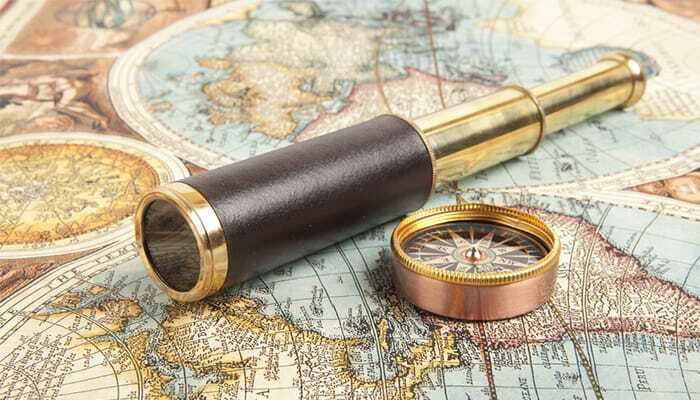 Before spending any money on a star map or fancy app, start off with one of these basic ones. 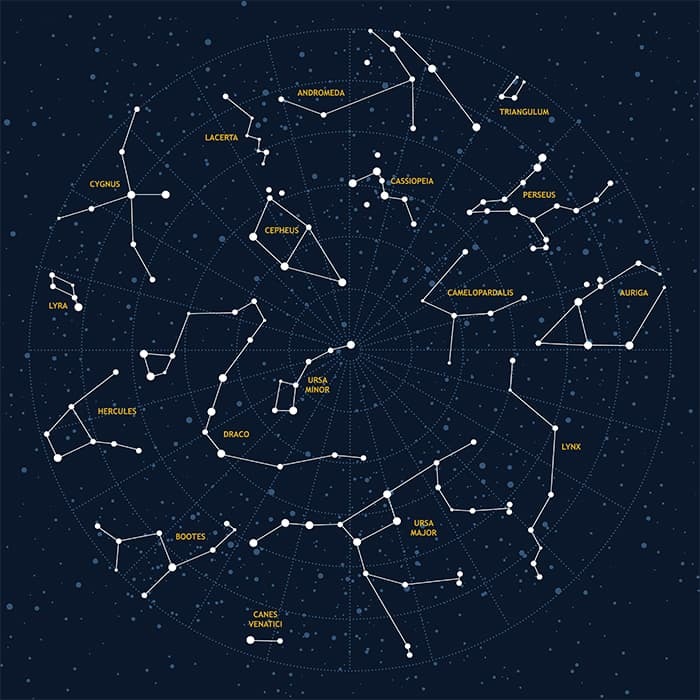 Websites like skymaps.com offer free basic maps and also sell more detailed ones. There are lots of these map sources to choose from, so do some searching and find one that works for you. Once you figure out what you do and do not like, then maybe consider buying one of the more detailed ones. You should also consider a planisphere. This is more sophisticated than a paper star map and consists of a circular star chart pivoting on a larger disc that displays the weeks and months of the year around its circumference. You can then read off what stars are visible at any time and date. 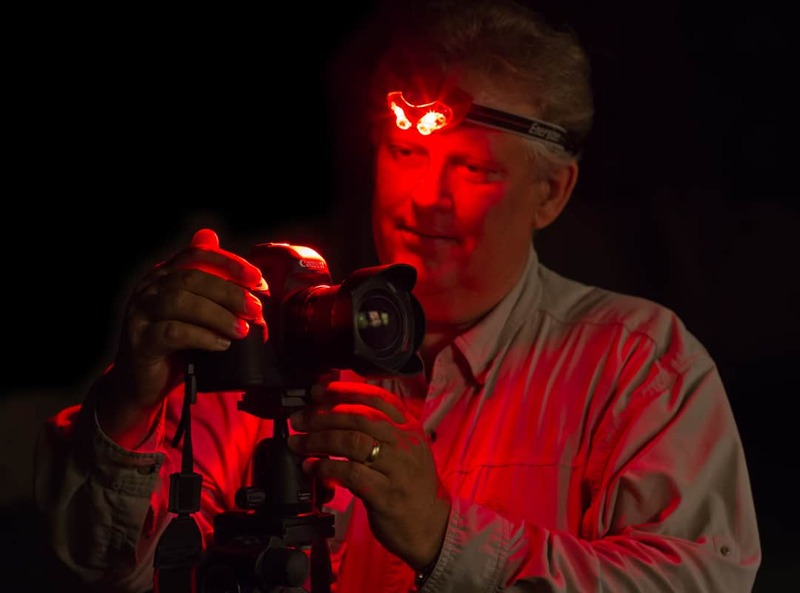 There are tons of red lens headlamps on the market, from cheap to mind-blowingly expensive. My personal favorite is the Black Diamond Storm, small, light, yet with good battery life and lighting. It’s also proven very durable for me. But there are many other headlamps available, with some of the best made either by Black Diamond or Petzal. Whatever you get, make sure it has a red setting. If you turn on a white light at night, goodbye night vision. After that, you’ll only be seeing little white and blue splotches and you’ll be stumbling around for the next few minutes! A red light allows you to see without disrupting or readjusting your vision. So when you turn the light off after finding a snack, you’ll be able to look right back at the stars. Your most important feature here is the red lens, then weight and battery life. Also, cold weather kills batteries fast, so make sure you keep spares, preferably stored somewhere where their temperature will remain stable. Another useful piece of kit is a set of binoculars or a telescope. Don’t agonize over the model, just pick a set with good magnification and clear glass. 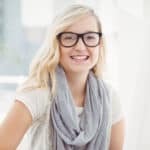 Glass clarity is way more important than magnification, as bad quality glass will distort an image and can even give you a headache. As a rule, binoculars are much more portable, but offer you much reduced magnification and clarity. A telescope can be a pain to carry around, but is an excellent piece of gear for sky observation. Typically, I would recommend you start with a pair of binoculars, as they are useful for a whole lot more than just stargazing, whereas a telescope is essentially a one trick pony. Buy quality, but basic to start with. And remember, you don’t need that stuff at all for most casual stargazing. Your eyes are what you want to start with. So only invest in that equipment once you know for sure that this hobby is for you. Stargazing is great. Standing up for hours while craning your neck up…not so much. A good folding chair is a wise investment for a stargazer. Try something that tilts back a bit so you can look up without hurting your neck. Most run-of-the-mill camp chairs like those sold at REI will suit your needs. Again, don’t break the bank here; just get a solid, reliable chair so that you can observe without neck pain. To go along with this, a small folding table works too to hold any gear you have. Honestly, a good source for a table like that may be a yard sale or thrift store, so look around there and see if you can’t find one that fits your needs. It is important that you keep things light and compact, especially if you choose to go far into the field. If you’re like me and you stargaze while backpacking for days (or weeks) in the wilderness, I would not recommend taking any special equipment. Weight is awful to carry over miles. If weight is a great concern for you like it is for me, then the only piece of kit you really need is a red lens light. You should be able to improvise a seat in the field. Binoculars and telescopes are wonderful, but save them for times when you don’t have to lug them around for miles. Finally, there are some miscellaneous items for you to consider packing to make the whole experience better. A portable power charger often comes in handy. Bring food. Hungry stargazing is awful. Bring water. Running out of water is awful. Bring extra layers, things like socks, gloves, even a blanket. Because being cold is awful. And bring a warm drink. My preference is hot mint tea without caffeine. Because however a night goes, a hot drink will always make it better. These little morale items will help keep your mood up, which will then let you focus on the sky. It would be terrible to miss the Northern Lights because you were freezing and hungry all night long. Of all the equipment for stargazing, this stuff may well be the most important, yet also the most overlooked. It’s easy to fixate on all the fancy gadgets on the market, but food, water, and appropriate clothing will really keep you content, so make sure you bring that stuff before the expensive gear. There is a lot of equipment out there relating to astronomy. But you don’t really need much of it as a beginner, or even an intermediate astronomer. Equipment may help you scan the skies, but it is far from the decisive factor here. Your location is vastly more important that any piece of expensive glass. Finding a high place without light pollution will do more to enhance your star gazing experience than will a telescope. So now you’ve gotten started in astronomy: You’ve gotten some basic equipment, tried out stargazing in a few locations, and can read a star map and identify more constellations than the average person. Now what? What more can you do with your exciting new hobby? For some of us, chilling out in nature with binoculars and a hot mug of coffee is plenty in and of itself. But there are also endless ways to explore the universe further and engage in the broader stargazing community. 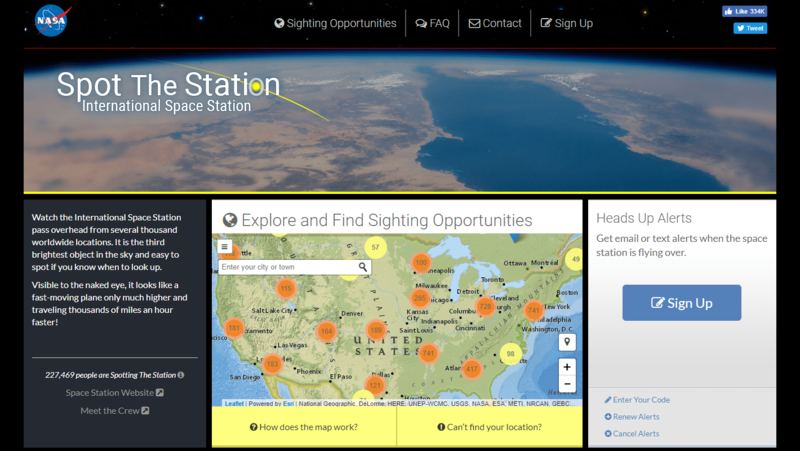 The International Space Station is visible from time to time, and NASA has an official website strictly dedicated to helping those who want to see it. The website gives you a ton of data on when and where the ISS is visible from your location. Better yet, you can actually see it with the naked eye, so you don’t need any expensive or fancy equipment for this one. Finding the ISS is a really good beginner project because it is so simple, and NASA makes this even easier. As I mentioned before, you can also see the Milky Way. This is either going to be very easy or very hard, depending on your location and weather. Getting a clear view of the Milky Way often depends simply on the level of light pollution around you. If you live in a city and never leave it, the most of the Milky Way you’re ever likely to see is a little cloud-like smudge in the sky. But if you get away from all that light pollution, the view is awe-inspiring. Seeing the Milky Way is one of the most beautiful experiences, only truly rivaled by seeing the Aurora Borealis. Like with the ISS, seeing the Milky Way is a good starting project since you need no equipment for it. This one makes a great weekend trip too; you can leave the city on a camping trip and simply look up from outside your tent to see the Milky Way. It dovetails nicely into other outdoors activities, so it’s an excellent thing to try on your next backpacking trip. Star photography is pretty much a hobby in its own right, so check out my beginner’s guide to Astrophotography here. If you’re new to photography, you’ll need to do some research on selecting a camera and using it to its full potential. Even if you’re already an experienced photographer, having at least some knowledge of astronomy is helpful when you want to start shooting stars. For instance, if you want to photograph the Milky Way, the first step is finding the Milky Way! Photography involves a whole different set of equipment and skills, but it is an excellent complement to stargazing. It gives you another way to appreciate the beauty and wonder of the sky. 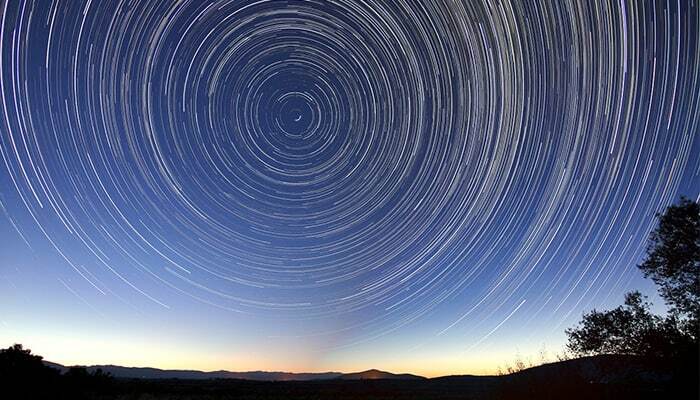 Once you have the basics of stargazing down, consider giving star photography a try! You’ll get tangible reminders of the scenes you’ve witnessed and can hang up your own photos around the house. If you’re planning a big trip to see the Northern Lights, you may want to brush up on your photography skills so you can capture some stunning vacation shots. That said, remember to put the camera down sometimes and simply enjoy the moment. You’re not alone in your interest in astronomy. 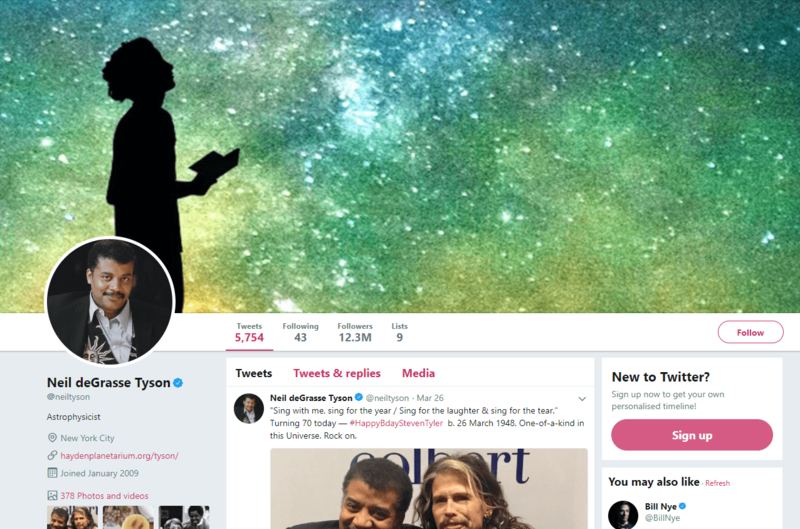 There are actually famous astronomers on Twitter, so go ahead and follow some or all of them. People like Jackie Faherty and Neil deGrasse Tyson keep their followers updated regularly. Dr. Faherty works as an astrophysicist for the American Museum of Natural History, one of the best science museums in the nation. Dr. deGrasse Tyson is, well, legendary. He has hosted multiple television shows, advised presidents, and authored multiple books. He and Dr. Faherty are two of the foremost astrophysicists in the United States today. Not only that, but they are very accessible, so you really don’t need a science background to understand them. Both of these astrophysicists made their subject digestible to the average person. Also, NASA itself keep a Twitter page, where you can keep up with various astronauts and other NASA personnel. You may be asking yourself, why should I follow various astronomers or physicists on Twitter or any other social media platforms? What if I didn’t major in STEM or take formal astronomy classes? Well, the ones I’ve mentioned do a really, really good job of breaking things down to a fairly accessible level. They make the impossible possible. Namely, they make astrophysics comprehensible to people who don’t have years of training and a PhD. That is a truly impressive task; imagine trying to explain the nuances of a Hemingway novel to a calculus nerd. Doctors Faherty and Tyson make the science of astronomy understandable to the general public, so you really may want to consider following them and others like them. Next, if you live in a university town, you’re in luck! You’ll have better access than most to educational astronomy events. Keep an eye out for university-sponsored lectures on astronomy. Many academic talks target a specialized audience and will be super technical, but there are also some amazing public-facing events. To give you an idea, check out this page on a past astronomy event at Yale University, which involved lectures about recent astronomical discoveries and time for observation with telescopes. Some university Astronomy Departments even have Twitter accounts to keep their followers apprised of upcoming events. If you live near New York City, follow Columbia Astronomy, which will keep you in the loop about astronomy events at Columbia University. You could also consider signing up to audit an Astronomy 101 class if you have the time, money, and inclination! In addition, numerous university planetariums welcome visitors to enjoy star shows and presentations. A couple of examples: UCLA’s Planetarium and Telescope Shows and UNC’s Morehead Planetarium and Science Center. There is also a wonderful live Astronomy experience at the Cradle of Aviation Museum in New York, which I highly recommend checking out! Visits to the planetarium make great outings with the whole family. 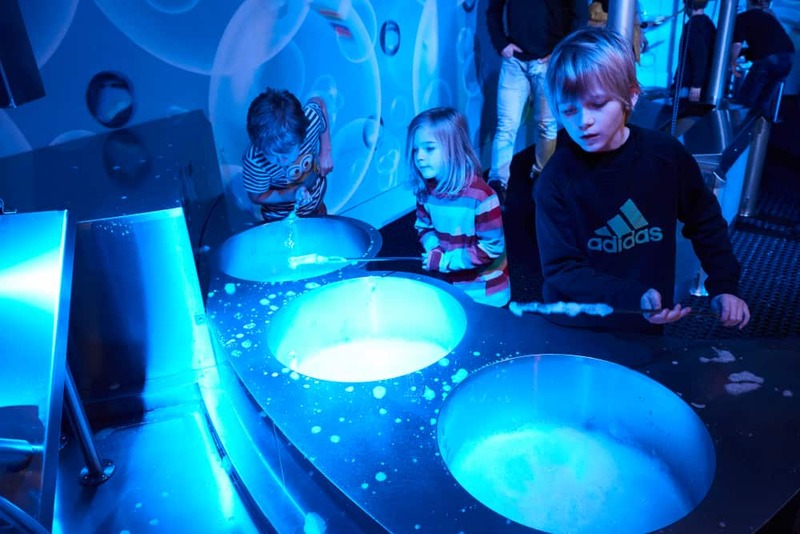 Some of these planetariums even run special weekend or summer programs for kids as well. Planetariums also provide an easy way to gauge your interest in further pursuing this hobby. Do the telescope shows leave you completely enthralled and wanting more? If so, taking stargazing a little more seriously may be for you. Finally, even if you don’t have great in-person access to astronomers (or don’t have a Twitter), you can still learn a lot from astronomy documentaries. There are heaps of documentaries available on all sorts of topics, from cutting-edge space exploration to the history of the field. And never underestimate the power of a good book. Check out Neil deGrasse Tyson’s Astrophysics for People in a Hurry and Stephen Hawking’s A Brief History of Time (and his later, even more condensed A Briefer History of Time). These are classic popular science works that illuminate the complexities of our universe without heavy jargon. Plenty of folks get their original interest in astronomy from science fiction, whether it’s Star Wars, Star Trek, Doctor Who, or any other fictional universe. Of course, the laws of physics often don’t seem to apply in these movies and television shows…but that’s part of the fun! There are tons of articles and even entire books about the physics and astronomy of popular works like Star Wars. Your improved astronomical knowledge will let you enjoy these old favorites even more (or ruin them for you since you can’t help but see all the inaccuracies). It’s sort of like knowing the real history behind your favorite historical fiction novel. Personally, I love having that sort of behind-the-scenes knowledge and understanding what’s based on evidence and what’s completely made up. You may come to appreciate the creative physics of your favorite author or film maker. Much like people observing the skies throughout history, the centaurs believe that astronomical phenomena can foreshadow or reflect events on earth. Authors like J.K. Rowling are adept at tapping into astronomy’s historical and mythological significance. If you’re a creative writer, you may find that your stargazing habit gives you additional inspiration. Finally, find people near you who enjoy this hobby as well. Like almost anything, astronomy is best when done with other people. One of my first recommendations is always to check out the internet for your local astronomy club or organization. You may even be surprised, as basically any even medium-sized town will likely have such a grouping. You’ll always learn something from your fellow club members, and chances are you’ll make new friends as well! Star parties and visits to the nearest observatory are invariably on the agenda. Get your family into astronomy and go on weekend trips. Find friends and go camping with them to see the stars on the weekends. I have plenty of fond (and sometimes freezing) childhood memories of hiking out to some field and lying down on the ground with a bunch of strangers, just looking up at the sky. Often, organized events will provide telescopes and have an expert or two on hand to answer questions. You can also research upcoming sky events, from meteor showers to eclipses. Chances are, if it’s visible in your area, there will be some sort of nearby viewing party or public observation event. Some of these events happen regularly. The Perseid Meteor Shower, for example, happens every year and is a great opportunity to see some shooting stars. Again, getting together with like-minded people will only increase how much you learn when you look up at the night sky. Not only that, but going out there with other people will give you all more fun and enjoyment. Astronomy, when done right, links into a ton of other activities. Go hiking, even backpacking, and look up every night. It really does not ever get old to see the awesome beauty of the stars and planets over you. Remember when I talked about the stories people have forever associated with the stars? You can learn those stories, and then teach them to others. Better yet, as you spend time out in the field, you will get the chance to make up your own stories. Stories like my own tale about the first time I saw the Milky Way. Wonderful tales like that may come to define your stargazing experience, as in the end, it’s about so much more than simply seeing dots of light over your head. Astronomy is not a hard hobby to get started in, and with minimal gear or cost you can simply look up, and enjoy the beauty around you. Over time, stargazing, and the stories you attach to it, will become a part of what it means to be you. Hey I’m Jenny! Thanks for checking out my guide 😀 If you’re looking for a hobby that’ll give you a feeling of awe, appreciation and insignificance all at the same time, Astronomy is for you! Hopefully I’ve given you a taste of how to get started – now it’s over to you!